In Spring 2019, SUNYRA will return to the Salt City - Syracuse, NY. Plan to join us June 5th to June 7th. Hotel information and the conference agenda is now available. Access the SUNYRA Calendar which features events, deadlines, meetings and conferences offered by SUNYRA, SUNY colleagues and other groups that support our mission. 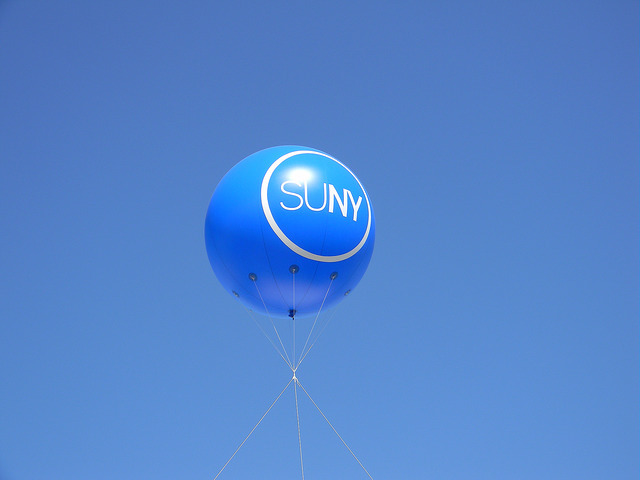 SUNYRA has promoted and provided for the exchange of information and ideas among SUNY institutions since 1974. Learn more about our 40+ years of service. SUNYRA is an active and vibrant organization that seeks to collaborate on various initiatives and programs in the SUNY system, and in the broader academic and professional community. Learn more about our collaborative work and our leadership in student records, registration, enrollment and student service. SUNYRA is a collaborative organization that supports its members through teamwork, information sharing, conferences and professional development. The organization is vital to helping SUNY institutions keep abreast of state and federal compliance issues, evolving trends and development in records and registration, and maintaining the high standards that our students, faculty, staff and broader communities expect. SUNYRA is one of the most active and engaged professional organizations in the state. SUNY campuses and programs are welcome and encouraged to be part of our profession-leading organization.